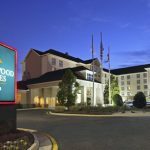 Dunlap & Partners Engineers has also provided M/E/P/FP design services for a variety of privately held hotel chains including Hilton Garden Inn, Wingate Inn, Homewood Suites, and Holiday Inn. 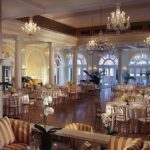 Our engineers provided M/E/FP engineering services for the addition to this prestigious resort, a member of the National Trust for Historic Preservation. The project involved 44,000 SF of additional space for a new exhibition hall and a new ballroom to supplement current spaces in the South Wing of the Homestead. 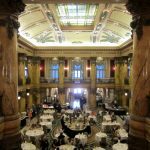 The existing kitchen, meeting room and ballroom spaces were renovated to upgrade finishes and systems for new uses and complete mechanical plan improvements were made. Recognized as one of “Richmond’s Jewels” the Jefferson Hotel is listed on the National Historic Registrar and is the city’s only Five Star Hotel. Dunlap & Partners Engineers provided engineering services for the facility’s condenser water system as well as design services for the renovation of the Lemarie Restaurant. 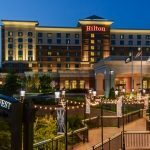 Our engineers provided M/E/P/FP design services for the new Hilton Richmond, Hotel and Spa in Richmond’s Short Pump area. Sustainability was the focus for this state of the art hotel and spa. Our team provided commissioning services for this new facility incorporating numerous “green building” design features. These included geothermal temperature regulation, solar power, SIPS panels, recycled materials and reclaimed rainwater. 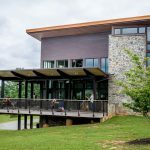 The new building also features a unique tasting bar with a second outdoor bar on the large deck overlooking the vineyard along with a private tasting room for parties and other special events. This project was certified LEED Platinum in 2012.